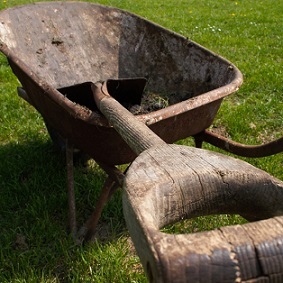 Composting horse manure is beneficial to your horse’s health. A properly managed compost pile will reach temperatures that are high enough to kill fly larvae, which reduces the fly population in the area, and also destroys weed seeds. The high temperature in the compost pile will also wipe out parasites and pathogens, such as viruses and bacteria that could cause diseases in horses. There are several things to consider in creating and managing a successful compost pile. Pile size. A compost pile that is about seven square feet at the base and at least three feet high will result in the best heating. Heat is generated when organic material decomposes. However, if the pile is too short, the heat will quickly dissipate and will not reach temperatures that are high enough to kill parasites, bacteria, viruses, and weed seeds. Airflow. It is important to keep air in the compost pile to minimize odors and achieve high temperatures. Proper airflow will also speed up the decomposition process. Turning the pile at regular intervals (especially during the first few weeks) speeds up decomposition. Turning ensures that air reaches all areas of the pile and thoroughly mixes particles. 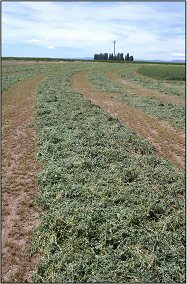 Throughout this year’s Alfalfa, Timothy and Straw harvests, weather has presented numerous challenges to each crop and cutting. The unique difficulties experienced this year have required our harvest crews, buying staff, and sales team to adjust quickly and be flexible. Anderson Hay & Grain Co., Inc. is honored to be a part of a new video series developed by the Washington State Department of Commerce. As the leading exporter of hay and straw products, Anderson Hay was asked to be featured in ‘Export Washington’. This series of short videos was created by Commerce to highlight Washington State companies who are stimulating the local economy by exporting local products. Commerce hopes to raise awareness about the many benefits associated with foreign exports. Forages grown in the Pacific Northwest may be deficient in the trace element selenium. Selenium is a trace element that is essential in the diets of all farm animals. Unfortunately, the soils in the Pacific Northwest contain little to no selenium. Generally, if the soil is selenium deficient, the forages grown on that soil will be deficient. Therefore, care must be taken to ensure adequate selenium intake by livestock that Ware fed hay and grains grown in the Pacific Northwest. Many supplements and mineral blocks that contain selenium are available for horses, cattle, sheep and goats. Be aware, however, that too much selenium is toxic. Good Quality Hay is Green, Isn’t It? Leafy, bright green hay is visually appealing, but hay color alone doesn’t tell you a lot about forage nutrient content or quality. Nevertheless, color is a great indicator of harvest and storage conditions. 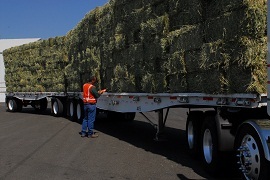 Hay that was cured quickly and stored properly is usually a bright green color while hay that was cured slowly or damaged by rain after partial drying may be pale yellow or brown because of bleaching and/or leaching. Visual evaluation of hay is very important first step in assessing forage quality. In addition to evaluating hay color, you should also inspect for weeds, assess maturity, leafiness, texture, moisture content, and odor. However, true forage quality can only be determined by laboratory analyses. What Factors Affect Forage Quality? Why is it important to understand forage quality? Put simply, forage quality affects a producer’s bottom line. Not only does it influence hay price, but forage quality also has direct effects on animal production efficiency, including weight gain, milk production, and reproductive success. 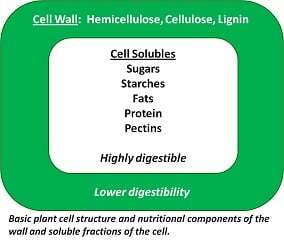 Forage quality is affected by its palatability or acceptance by the animal, and is influenced by factors such as, odor, taste, texture, leafiness, and moisture content. In general, high quality forage is quite palatable, which leads to higher intake. Do you know what’s in your hay? When you purchase hay, whether Alfalfa, Timothy or other grass hay, do you really know what you are buying? At Anderson Hay, our investment in quality control and technology allows us to ensure a safe, traceable supply of feed for our customers. Anderson Hay’s Safe Feed initiative follows a series of rigid protocols and quality checks to ensure the traceability of each bale of hay sold.  Earlier this month the United States Department of Agriculture (USDA) released its annual hay report. The contents of the publication stunned many in the hay industry. Though widely accepted that hay supplies would be stressed this year, the estimates for loss of hay acreage and tonnage are much higher than expected. 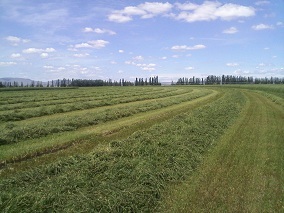 It appears that 2011 hay production will not only be lower than 2010, but carry over into May 2012 will also be shorter than last year.